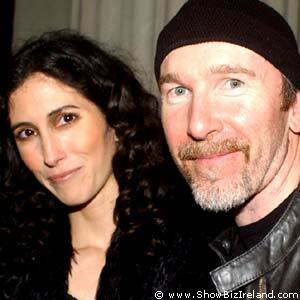 U2's guitarist The Edge is to marry in two weeks in a secret ceremony in the South of France. Reports in the UK press say that The Edge, real name Dave Evans, will marry his girlfriend of the past five years Morleigh. The pair met on the set of the U2 video She Moves in Mysterious Ways and currently live between the couple's homes in the US, where she is from, and Dublin. Apparently the wedding will be a small ceremony in the South of France, where both The Edge and Bono have a house. Guests will include all of U2, REM and number of the couple's celebrity friends such as Christy Turlington. Bono is due back from his charity work in Asia and will be able to make the wedding.